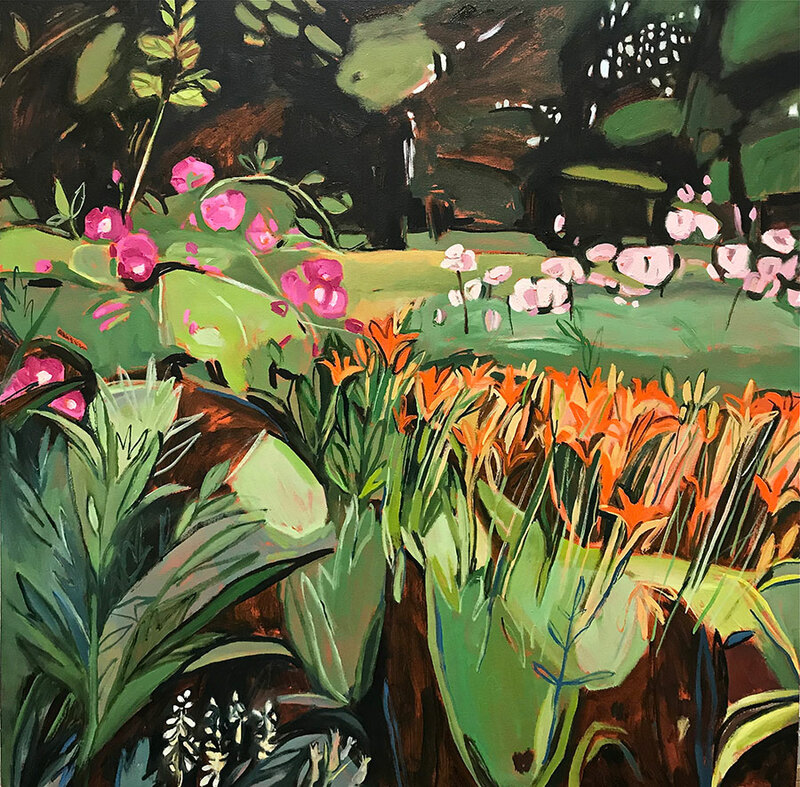 My practice, using oils on canvas, interprets the natural world, flipping between figurative and abstract motifs, reconstructing and remixing elements of landscape. My agenda, covert yet mildly provocative, is to provide a channel for reconnection with the environment. A series of diptychs and triptychs, slices of observations of the natural world touched by human interference, both benign and disruptive, in a part-ideological, part-realistic fashion. I'm revisiting some favourite localities, using photos and sketches, re-interpreting the images, experimenting with scale and mixing media. Preparing canvases - making them up and priming them - often with my go-to starting point for landscape - the red ground. Looking at my bank of photos and found images. Sketching out ideas. Preparatory drawings. Making paintings! Getting the marks down. Unmaking paintings -with the turps rag - taking the marks off - well some of them ... sounds unproductive but this is fine - the ghost images left behind form the next stage of my work. How long have you been a resident At Magdalen Road Studios? 14 months, seems like no time. A mini-retrospective. I'll be putting up some pieces I made earlier last year which I haven't looked at for a while, alongside some recent stuff, to examine the progress, if any ... I may make changes to the earlier work. Assessing which work to take to fairs, etc. Experimentation with new media. Development of my technique to enable a re-interpretation of the notion of landscape; working with new subject matter from different localities. Putting some ideas together for a potential collaborative project.